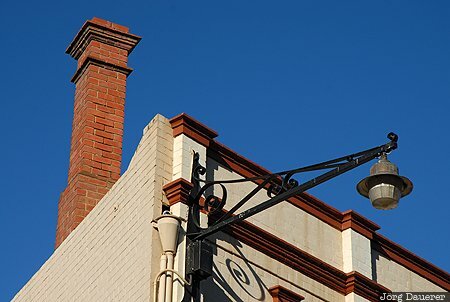 Street-lamp and a brick chimney at a house at Salamanca Market in Hobart in front of a deep blue sky. Hobart is the capital of Tasmania, Australia. This photo was taken in the morning of a sunny day in March of 2007. This photo was taken with a digital camera.